The Harris-built AHI significantly improves the quality, speed and accuracy of information provided to meteorologists with its higher resolution, 11 additional spectral bands and more rapid scans than older imagers. The AHI captures images of Japan 12 times faster and the full Earth three times faster than older systems. These features generate many more weather products and much improved video capability compared with older imagers. Himawari-9 was built by Mitsubishi Electric Corporation and launched Nov. 2, 2016. 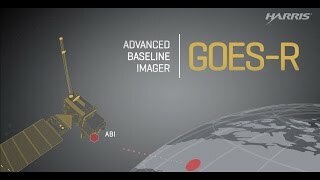 The AHI leverages similar technology used for the Harris-built Advanced Baseline Imager onboard the Geostationary Operational Environmental Satellite-16 (GOES-16) weather satellite, launched Nov. 19, 2016, by NASA and the U.S. National Oceanic and Atmospheric Administration.